"The Glad Jacket combines simplistic elegance with technical performance for this midweight fleece. 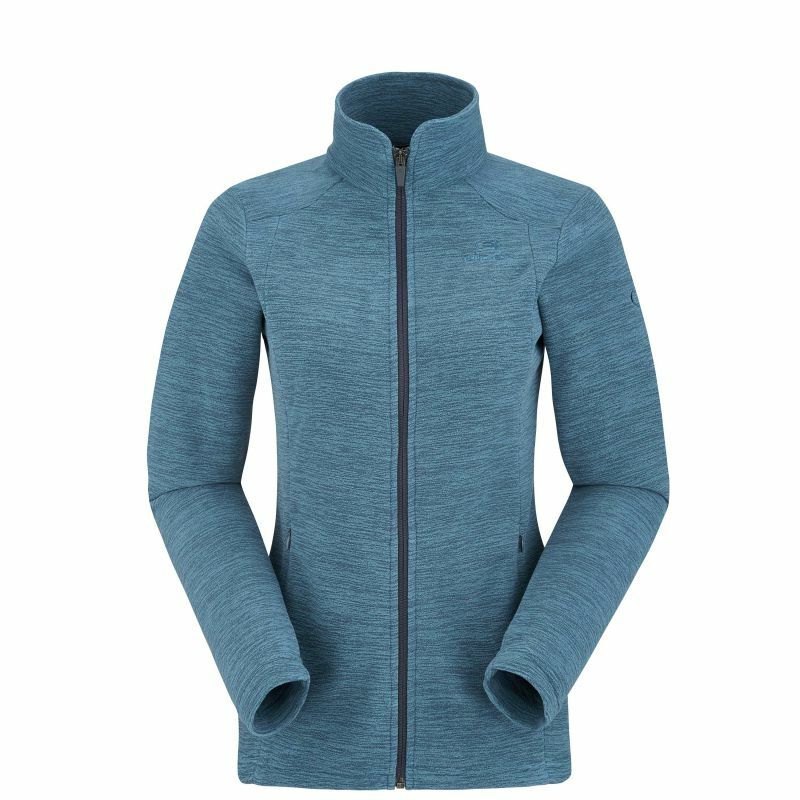 Best suited for day hiking or exploring the urban outdoors, the sweetheart neckline and soft tones add a touch of feminine style, while the Thermo Light Misty fabric provides comforting warmth on cooler days. Regular cut fits nicely over layers, and the invisible handwarmer pockets keep the overall look fresh and clean. Perfect for mountain activities in cool weather. It is thermally efficient enough to keep you warm in harsh conditions, and is also highly breathable. Easy care, and very quick-drying. THERMO LIGHT MISTY // 100% POLYESTER"